George Bradley, 20, a door-to-door salesman of Dabin Crescent, Greenwich, London, was ejected from the away section of fans during the Brighton v Chelsea match on Sunday, December 16, police said. Sussex Police said Bradley appeared at Brighton Magistrates’ Court on Thursday (January 3), where he pleaded guilty to using threatening, abusive or insulting words or behaviour to cause harassment, alarm or distress. 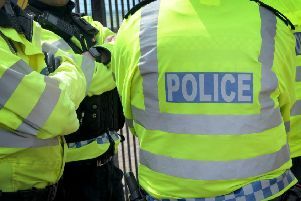 A police spokesperson said: “The court found that the offence was motivated (wholly or partly) by hostility towards persons who are of a particular sexual orientation, resulting in an increased fine of £800 plus £80 victim surcharge and costs of £85. PC Darren Balkham, Sussex Police dedicated football policing officer, said: “This was a great example of the stewarding and policing operation at the stadium taking action when incidents occur. A spokesperson for Brighton and Hove Albion added: “We would like to thank Sussex Police for their assistance in dealing with this unsavoury incident, and we are very pleased with the outcome. After the match, the police stressed that ‘the vast majority of Chelsea fans supported their team with passion and pride and were a credit to their club’.